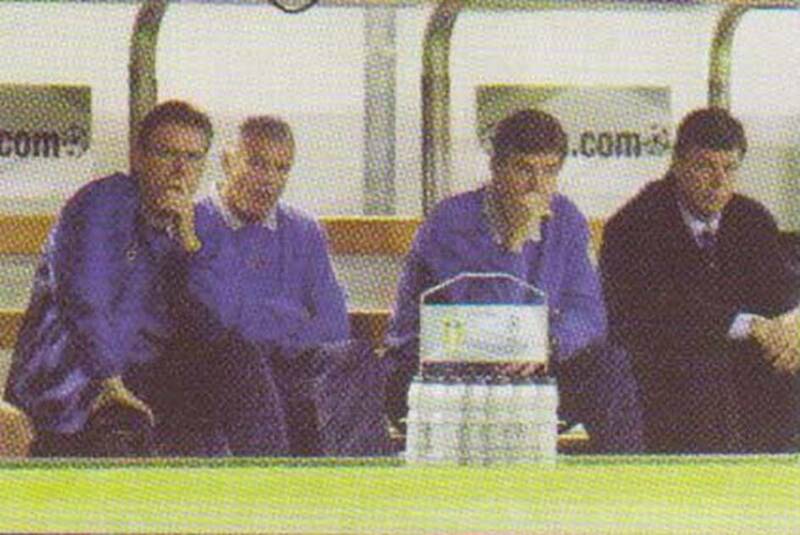 Date: Tuesday, 8th May 2001. 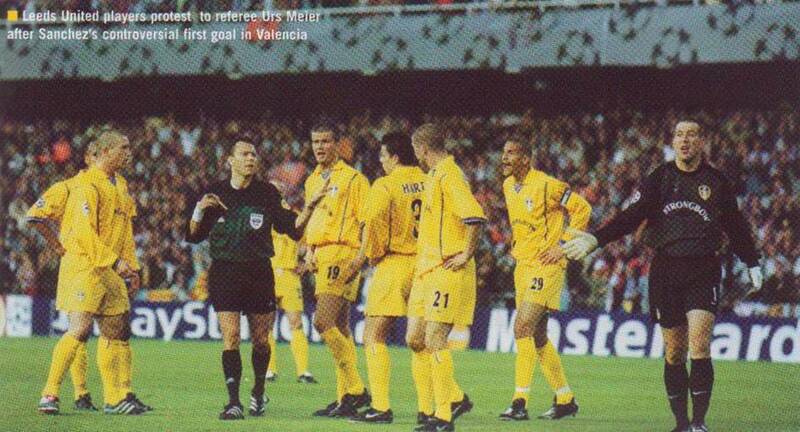 Venue: Mestella Stadium, Valencia, Spain. Competition: ECL Semi-Final, Second Leg. 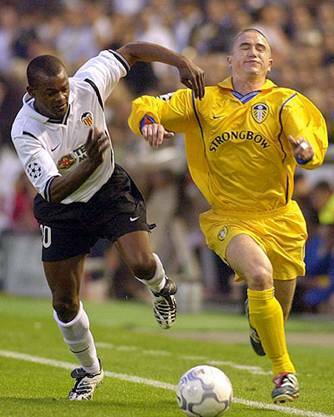 Score: Valencia 3 Leeds United 0. Scorers: Valencia: Sanchez (2) Mendieta. Leeds United: Nil. 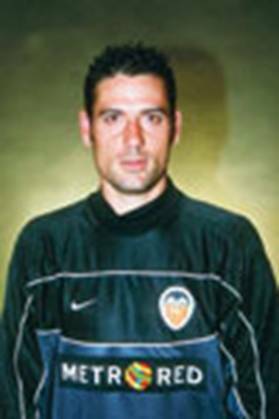 Valencia: Canizares; Angloma, Pellegrino, Ayala, Albelda; Mendieta (Angulo), Aurelio, Gonzalez (Vincente), Aimar (Deschamps); Sanchez, Carew. Unused Subs: Djukic, Zahovic, Diego Alonso, Palop. 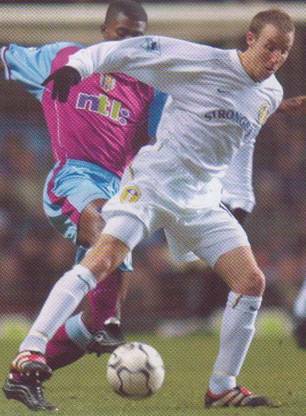 Leeds United: Martyn, Mills, Ferdinand, Matteo, Harte; Bakke, Batty, Dacourt, Kewell; Smith, Viduka. Unused Subs: Kelly, Woodgate, McPhail, Wilcox, Burns, Maybury, Robinson. 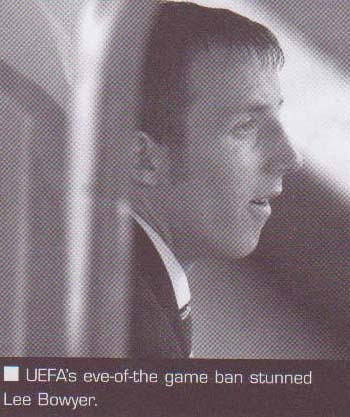 United were given a nasty shock on the eve of the game when a ban was imposed on United talisman Lee Bowyer. Eirik Bakke was drafted in to take his place. 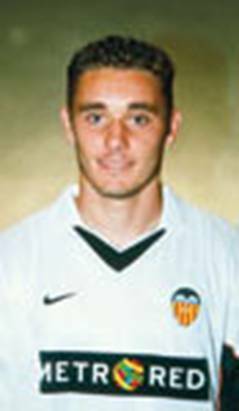 Valencia were without Amedeo Carboni and Ruben Baraja who were suspended and Fabio Aurelio and Pablo Aimar took there places. 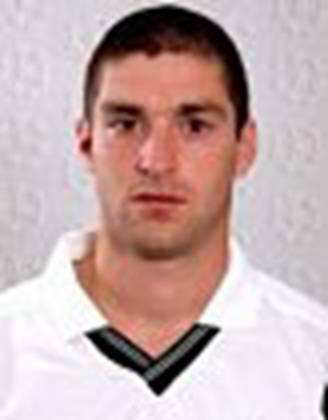 The United players, with the exception of Ian Harte had all had their heads shaven, so it was hard to tell Danny Mills and Olivier Dacourt from the rest. 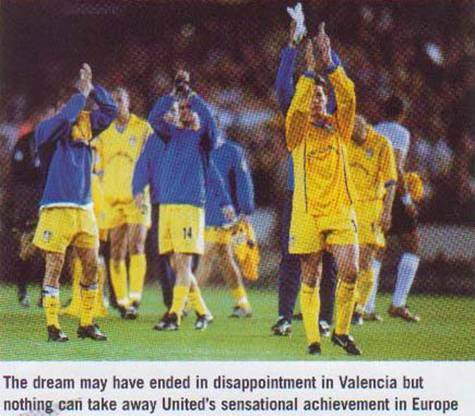 Valencia's fortress Mestalla was vibrant and the atmosphere befitting an all-or-nothing Champions League semi-final and the Spaniards were swiftly into their stride, Mendieta powering in a third minute angled drive which had Nigel Martyn at full stretch to save. 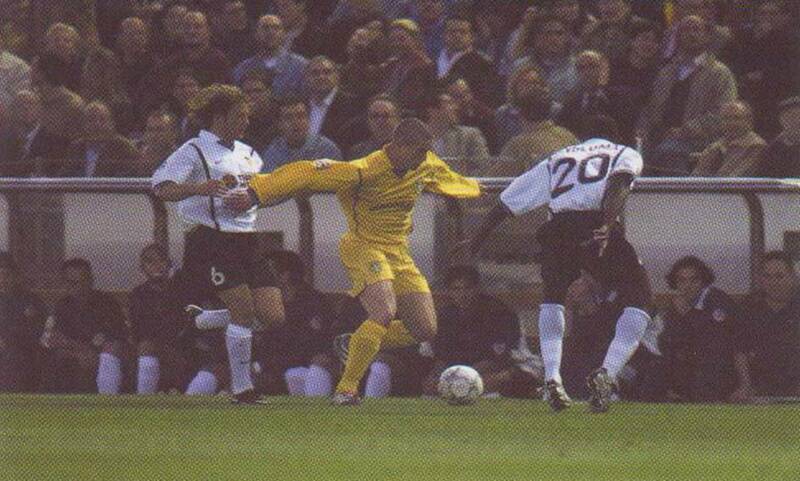 Mark Viduka was fouled and Danny Mills crossed from the right, but it was taken easily by Canizares. Then a Harry Kewell cross from the left was wasted as Alan Smith failed to get a touch to it. 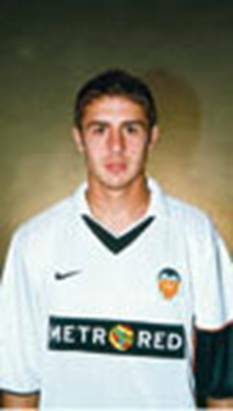 Harry Kewell again put in another telling cross after a misdirected back pass from Juan Sanchez, but Canizares was able to punch clear. After John Carew crossed well, Juan Sanchez was dispossessed at the last moment by Rio Ferdinand. Juan Sanchez’s header from a Mendieta cross was off target. It then started to look ominous for United and after just sixteen minutes Valencia grabbed the lead. A glorious ball across the face of goal from Mendieta was turned in by a diving Juan Sanchez to vain protests from the United camp that he had handled. United came back and Mark Viduka won a corner. 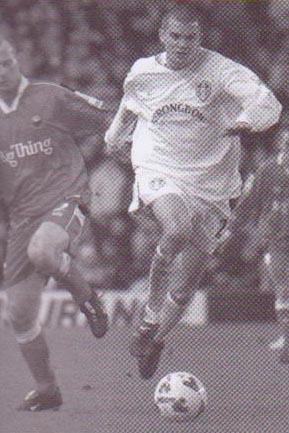 David Batty tried force his way through, but he lost control as United continued to struggle to find an opening against a compact and unyielding defence. 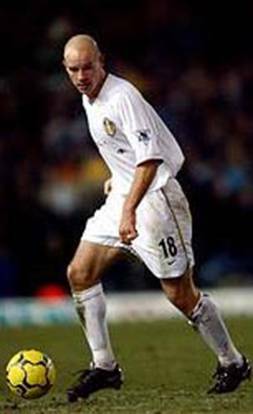 After twenty-six minutes Harry Kewell managed a shot from twenty yards which went over the bar and when the play swept to the Leeds end, Danny Mills gave away a corner to keep out Jocelyn Angloma's cross. 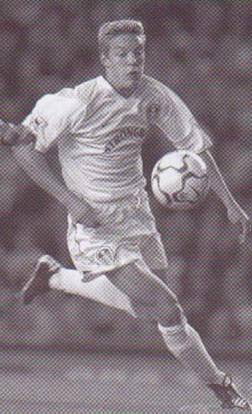 Leeds cleared the corner and Olivier Dacourt jinked forward through three challenges before unleashing a drive which, although powerful enough, was straight at Canizares. 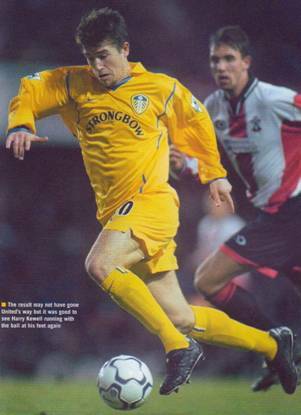 Mark Viduka showed great skill on the left of the area before picking out David Batty, whose first-time volley had Canizares sinking to his knees to save. 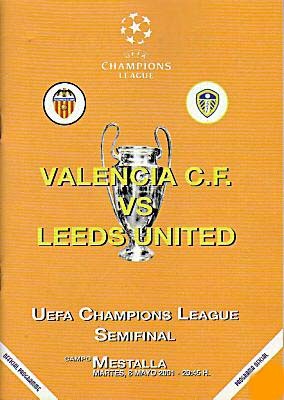 Then Alan Smith fired in a low cross-shot and Leeds were taking the game to Valencia now in the desperate search for an equaliser. The Spaniards absorbed the pressure and retaliated through the superb Mendieta but his cross was too high for John Carew to get in a decent header. Kily Gonzalez went down in the area under a challenge from Eirik Bakke but the referee saw things in Leeds’ favour. 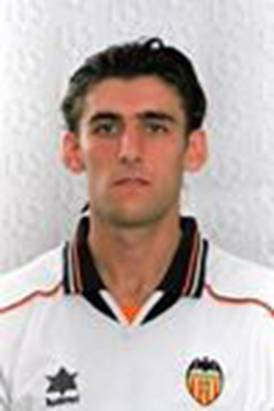 Fabio Aurelio won a corner on the left and Roberto Ayala got up well to head the flag-kick just over. 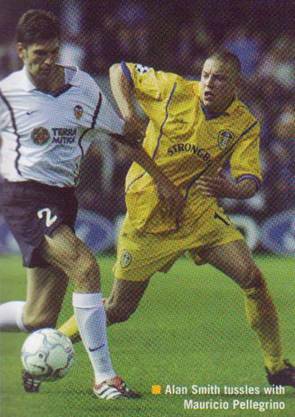 David Batty battled well to get Alan Smith through on goal as half-time approached, but Mauricio Pellegrino stopped him before he could get a shot in. 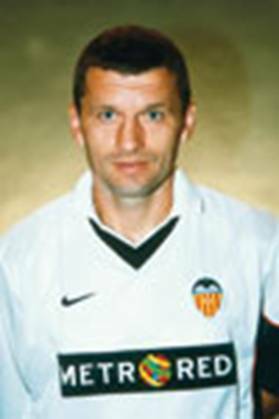 Olivier Dacourt had been United’s shining light closely followed by David Batty who was using his big-match experience to the fullest, but Valencia defence were showing that their reputation of being the meanest in Europe was not unfounded, and United need much more guile and strength to breach it. 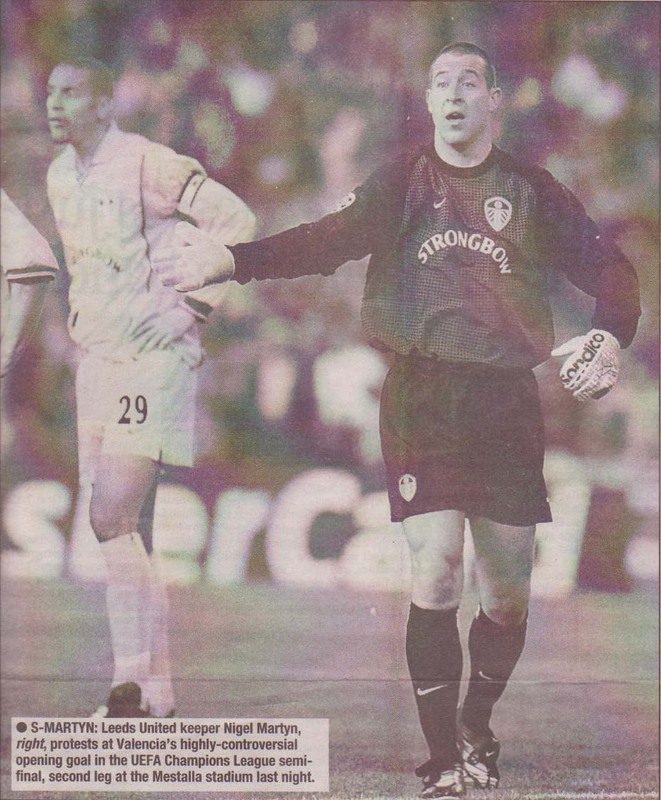 Three minutes into the second-half and a magnificent twenty-five yard left-foot shot from Juan Sanchez gave Nigel Martyn no chance as it flew straight as an arrow into the bottom left-hand corner, and everyone knew it was curtains for Leeds. 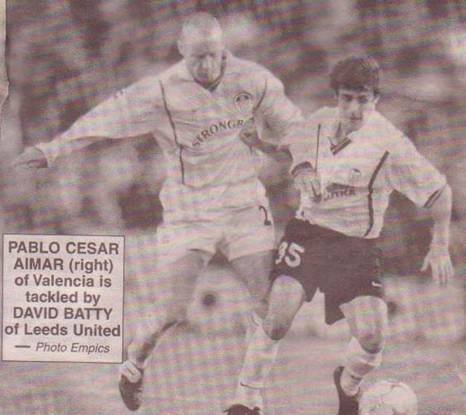 They had to go on all out attack and that was a situation tailor-made for Mendieta and soon he looked certain to score as he glided through, but fortunately for United he overran the ball and Nigel Martyn collected. It was only a brief respite, however, and the immaculate Valencia skipper repeated his run in the fifty-second minute, only this time he buried his shot into the bottom left-hand corner of the net. At 3-0 it was time for Valencia to show their undoubted class as they toyed with Leeds. Juan Sanchez beat Nigel Martyn but his shot rebound of a post to safety and the crowd roared for more. 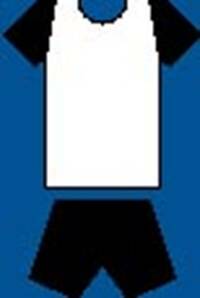 Mark Viduka was fouled by Roberto Ayala and Ian Harte had the chance of a well placed twenty yard free-kick, but it was tamely hit and it seemed that it might be Leeds’ last throw of the dice. 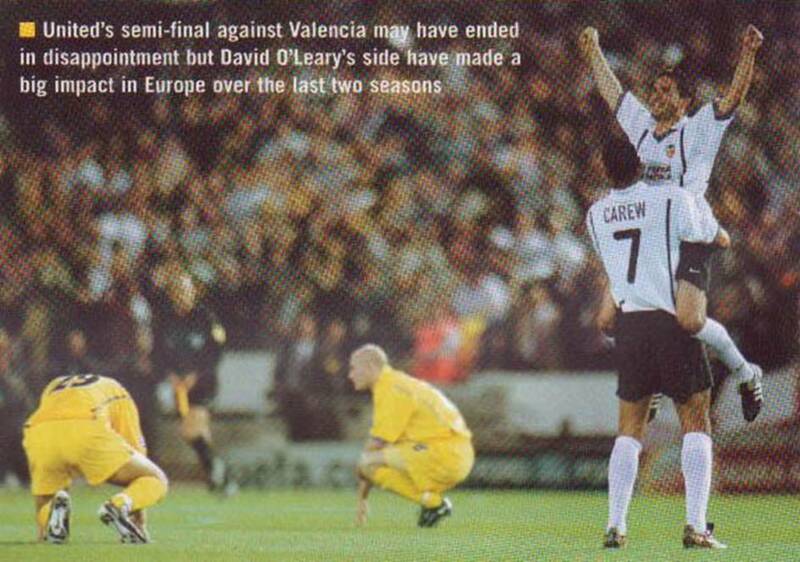 Valencia for their part were looking for more and Nigel Martyn had to palm away a shot from John Carew and Miguel Angel Angulo put the rebound high and wide, but Nigel Martyn’s day was not quite over and he was again made to hurl himself across his goal to deny the hat-trick seeking Juan Sanchez. 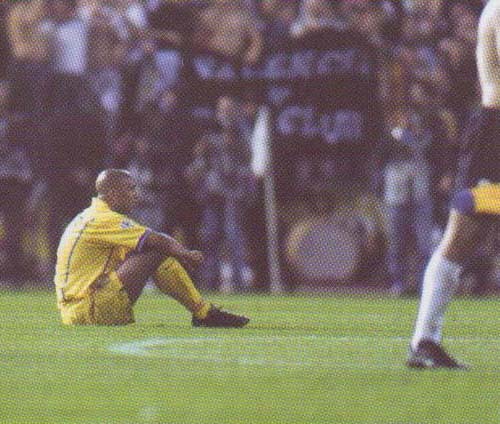 It all ended in disgrace for Leeds and particularly Alan Smith who brutally assaulted Vicente, appropriately in injury time, and he received his marching orders from the field as a humbled Leeds exited ignominiously from the competition. For his sins Alan Smith was expected to receive at least a three-match ban which would keep him out of the early part of the following season's European campaign, no matter if it was in the UEFA Cup or, most unlikely, the Champions League. His calling card in Spain was impetuous, irresponsible and unforgivable. Leeds deserved better. They deserved to have gone out with their dignity intact. Back Row: Dominic Matteo, Mark Viduka, Rio Ferdinand, Danny Mills, Nigel Martyn, Ian Harte. 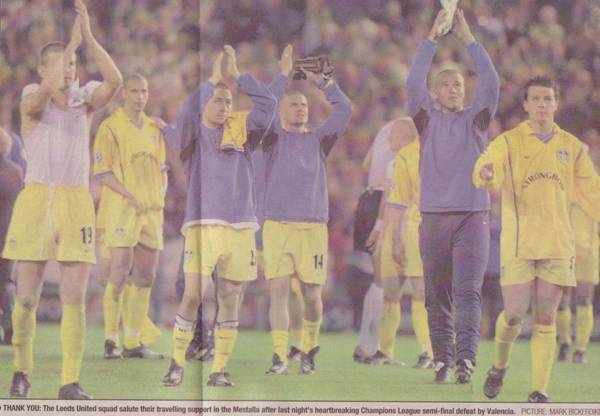 Front Row: Eirik Bakke, David Batty, Olivier Dacourt, Alan Smith, Harry Kewell. Ian Harte did not shave his head. 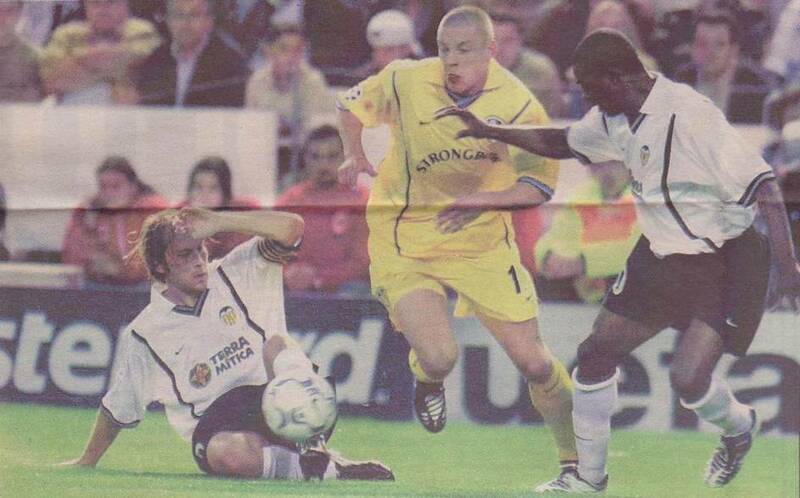 David Batty’s big match experience showed. Olivier Dacourt was a shining light. Harry Kewell’s cross was wasted by Alan Smith.